At only 5” and 13.5oz, the Grunt-M (mini) is the most compact and lightweight in it’s class. The patented one piece core is machined from billet bar stock and has no internal welds. 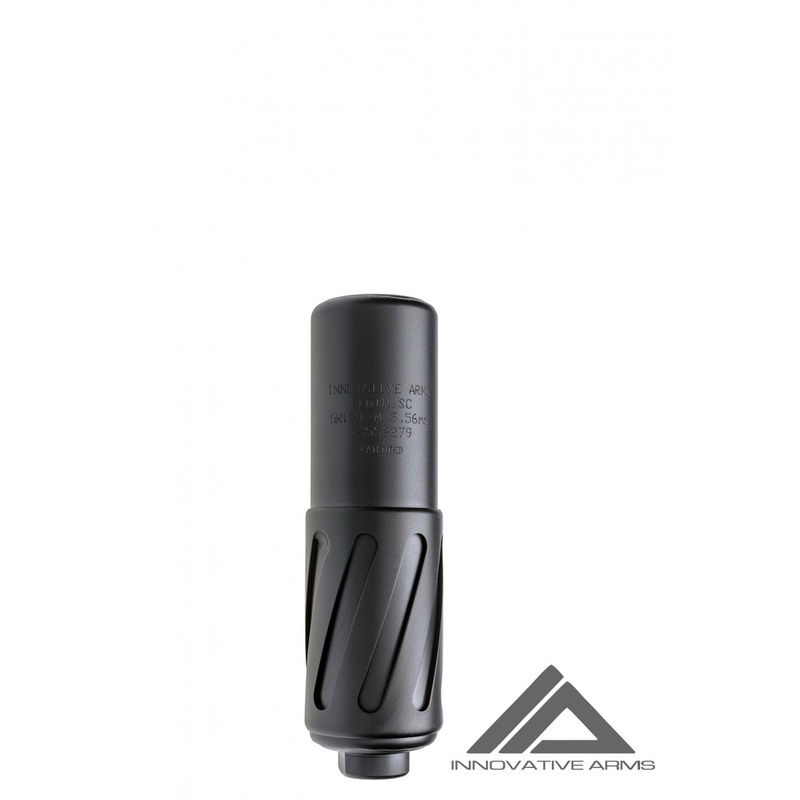 The GRUNT-M is direct-thread on in 1/2 x 28 and is full auto rated on barrels down to 10″. It also features wrench flats that allow easy pin and weld for short barrels and is available in Black, OD Green or Flat Dark Earth. As with all our silencers, the GRUNT-M can be fired “wet” or “dry”. Do not use a crush washer in conjunction with any Innovative Arms silencer. Caliber: 5.56. Weight: 13.5oz .Length: 5”. OD: 1.5″. Material: Stainless Steel. Finish: Black. TPI: 1/2 x 28.DB Reduction: 23-28 Dry.